JetBlue is changing its ticket-pricing policy next year, and fees for first checked bags will presumably accompany those changes. JetBlue, said Powers, is in the process of creating fare “families” or “bundles” that would each include a specific set of services. Get ready for some confusing fare bundling, everyone. Powers is talking about implementing a tiered pricing policy similar to that used by airlines such as Frontier and Spirit. Many so-called low-cost carriers offer competitively priced base fares, then tack on additional fees for everything from bags to seat assignments to bookings made by phone. You can either pay for the little extras or buy a more expensive type of ticket that includes ’em. Either way, you’re paying. Really, though, there’s not much difference between “monetizing product attributes” and gouging consumers by way of ancillary fees. It’s fairly safe to say that JetBlue’s cheapest fare class wouldn’t cover checked bags. So, arguably, the carrier won’t directly charge first-checked luggage fees. But it will (most likely) charge you more for a ticket that permits you to check a bag at no extra cost. This is a very roundabout and dubious way to introduce new ancillary charges. Does this mean that free checked bags will go the way of Pan Am? JetBlue is one of the last U.S. carriers that doesn’t charge coach flyers any fees for first checked bags. 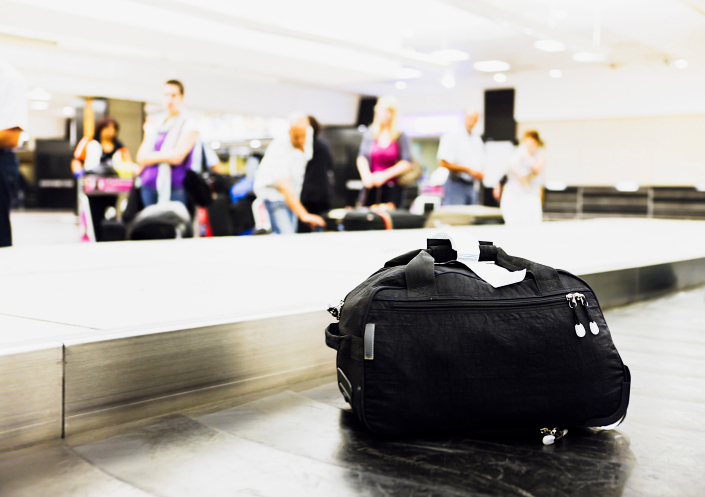 And this isn’t the first time a popular low-cost airline considered implementing additional bag charges: Last year, Southwest’s CEO hinted that the company could charge extra for checked bags, hypothetically … sometime in the future. For the time being, we don’t expect Southwest to take away its very popular baggage policy anytime soon. But JetBlue? That’s another story. What do you think about JetBlue’s proposed changes?